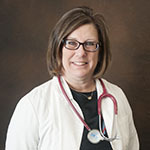 Donna R. Wright completed her Bachelor of Nursing at the University of Arkansas for Medical Sciences in May of 1988, and received her certification in Family Practices license as an Advance Nurse Practitioner (APRN) in 1997. Donna is currently certified with the American Academy of Nurse Practitioners. Donna is the President and CEO of Applied Research Center of Arkansas and has participated in several clinical research trials as a Sub-I since 2001.